The University of Southampton is taking a leading role in the Government's national Further Mathematics Network initiative. The University is hosting the Further Mathematics Centre for the Hampshire and Isle of Wight region at its Highfield campus. The Centre, which is one of 46 across the country, is being funded by the Department for Education and Skills (DfES) for an initial three-year period, following the recent launch of the initiative in London. The aim is to raise awareness of the benefits of studying mathematics and further mathematics in the sixth-form amongst students, parents, schools, colleges and universities. This includes encouraging GCSE pupils to go on to study the subjects in the sixth-form and inspiring sixth formers to take mathematics-related subjects at university. The Centre will offer support those students who continue with mathematics post-16 and their teachers. The number of students taking further mathematics qualifications fell from around 15000 in the early 1980s to 5000 by the late 1990s. Keith Jones, of the University's School of Education and manager of the Further Mathematics Centre, says: "The country needs more young people to study mathematics and go on to take mathematics-related degrees in subjects like engineering, sciences, computing, and economics, as well as mathematics itself. These subjects drive the economy and generate knowledge and innovation. "Students who continue with mathematics in the sixth-form, particularly if they take further mathematics at AS or A-level, are much better prepared for the transition to university-level work in mathematics-related subjects and universities recognise this. The Further Mathematics Centre aims to help make this happen through supporting students and teachers across the region." Professor Adam Wheeler, Deputy Vice-Chancellor at the University of Southampton and Professor of Industrial Applied Mathematics, says: "Maths is a profound way of understanding the world and a powerful tool for solving real problems. It can also lead to an interesting career - for example, Southampton maths graduates are now working in Formula 1 racing. This new centre at Southampton will play a key role in inspiring young people in the fun and excitement of maths as well as its sheer usefulness." The Further Mathematics Centre for Hampshire and the Isle of Wight is hosted by the University of Southampton's School of Education and is a collaborative effort between the University and the four local authorities in the region: Hampshire County Council; the Isle of Wight Council, and Portsmouth and Southampton City Councils. 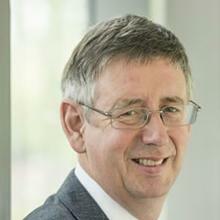 Mr Keith Jones is Associate Professor within Southampton Education School at the University of Southampton. The national launch of the Further Mathematics Network took place at the London Mathematical Society on Thursday 7 September 2006. The speakers included Professor Celia Hoyles, DfES Chief Adviser for Mathematics, who said: "I hope that the change in fortune of Further Mathematics marks a new era for the country in which more and more people continue to engage with and to enjoy our subject." Sir Peter Williams, Fellow of the Royal Society Chair of the Advisory Committee on Mathematics Education (ACME), commented: "If we are to compete effectively in a global economy the country needs more graduates in science, technology, engineering and mathematics. These subjects are completely dependent on students being fluent and confident in mathematics. Students who have studied further mathematics before they go to university are very well-prepared to deal with these maths-related degrees." Further mathematics is an AS/A-level qualification designed to be taken alongside the standard AS/A-level mathematics. It has its own content that reinforces, broadens and deepens the mathematics covered in the standard A-level. Students are introduced to new topics and some 'big mathematical ideas' (e.g. complex numbers and matrices) that will be very important on mathematics-related degree courses. Studying further mathematics often results in students doing better in their standard mathematics, partly because they become much more mathematically fluent. The University of Southampton is a leading UK teaching and research institution with a global reputation for research and scholarship. It received its Royal Charter as a university in 1952 and is now one of the UK's top 10 research universities, offering first-rate opportunities and facilities for study and research across a wide range of subjects in humanities, health, science and engineering. The University has nearly 20,000 students and 5000 staff based across its campuses in Southampton and Winchester. Its annual turnover is in the region of £287 million.